"Fashion industrial design heart throbbing city pulse eat my veins of passion and lust, need to feed the street. I can be in tune with and above all. Leave me alone. Join me." 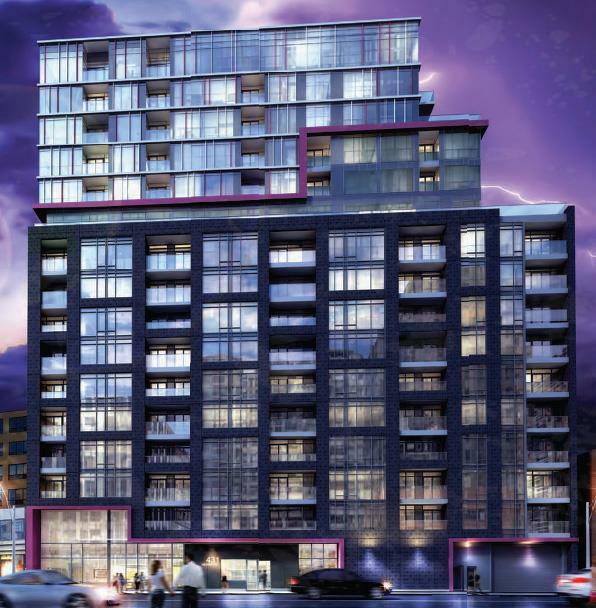 The Up and coming Fabrik Condos By Menkes Development Ltd will be located in Toronto’s Trend Setting, Fashion District. Offering Spacious Suites of Various Price Ranges, On Site Spa Amenities and The Luxurious City Living in One of The City’s Most Desirable Neighbourhoods. Steps To Multicultural Restaurants, Cafes, Pubs And Shopping in Nearby Kensington Market and Numerous Queen West Boutiques. The Possibilities and Luxuries are Endless! Suites Sizes Range From 346 Sq Ft To 1118 Sq Feet, while Price are Starting at $287,990. The Units are Limited, However,It is Not Too Late To Register Today With Sutton Group and Save Thousands! Unbeatable Buyer Incentives Await! Special Lease Back Promotion! Register Today For Our VIP Mailing List 905-896-3333!